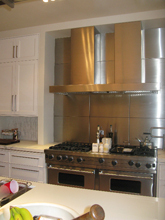 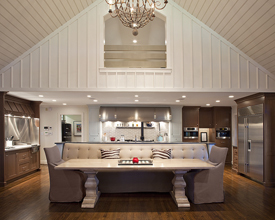 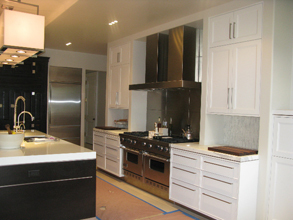 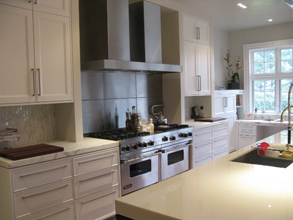 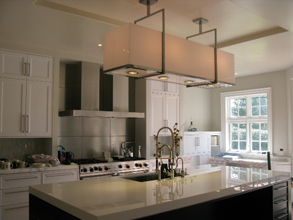 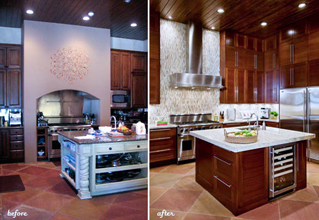 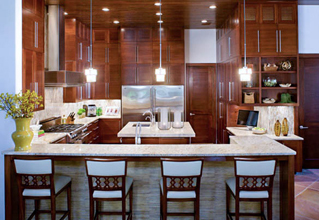 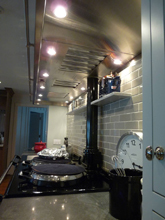 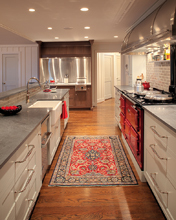 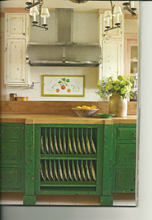 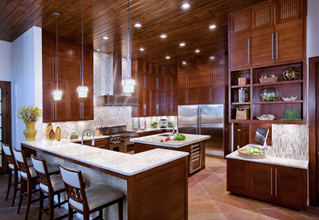 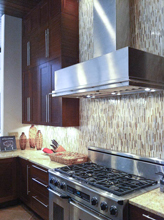 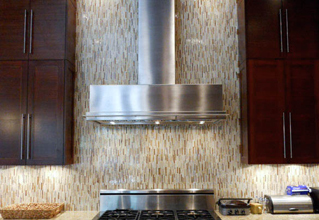 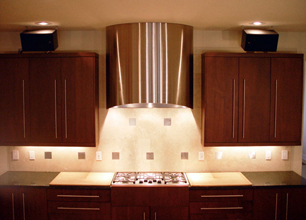 Custom Range Hoods - #3272 | Handcrafted Metal Inc. 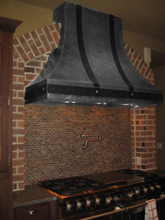 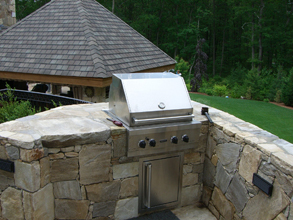 The Ultra Low Profile hood has a wrap around pot rail on the top and 2 hanging pot rails at the ends. 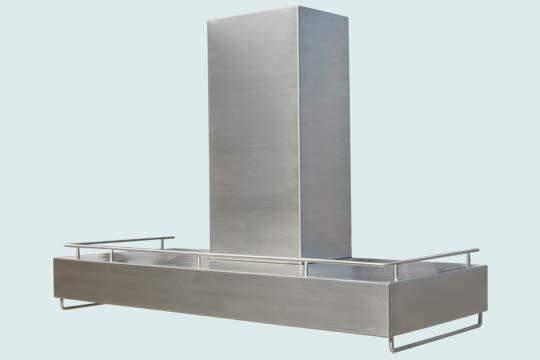 The slim design allows the hood to be be used as a shelf for spices or oils. The entire hood and stack are 16 ga. stainless steel. 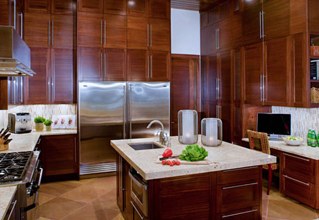 Shown in a brushed grain finish.